Friday morning, Gal Gadot, star of the highly anticipated Wonder Woman solo film, tweeted out the latest poster on her twitter account. 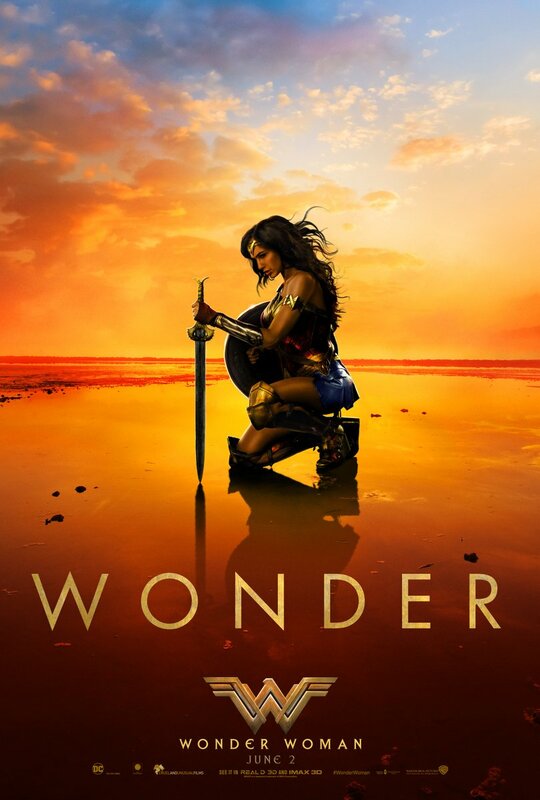 It's as gloriously rich and golden as previous posters with Diana Prince in a different pose. The sun-drenched poster, like the others, features her alone kneeling with sword in hand on a beach apparently. The brand new trailer for the film is expected to debut during the Kid's Choice Awards show on Saturday on Nickelodeon.